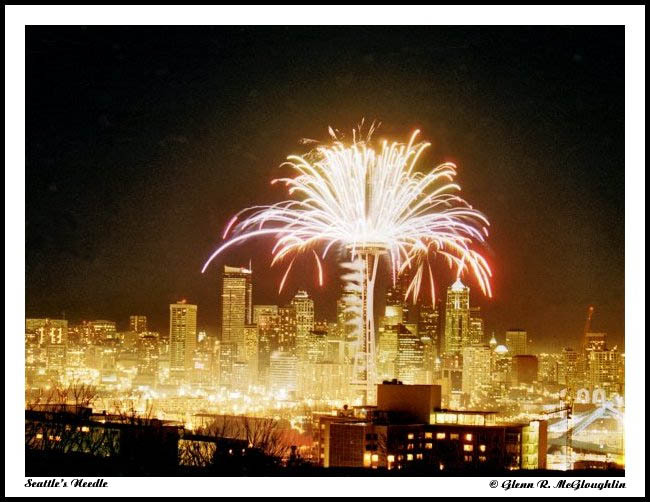 I shot this the first year fireworks where shot from the Spaceneedle back on New Years Eve 93-94` I used a tripod and took the shot with the lens open wide, and at the bulb setting for three seconds... this was taken during the first four or so second of the fireworks. Welcome to Photoforum... Nice shot! Cood Luck!